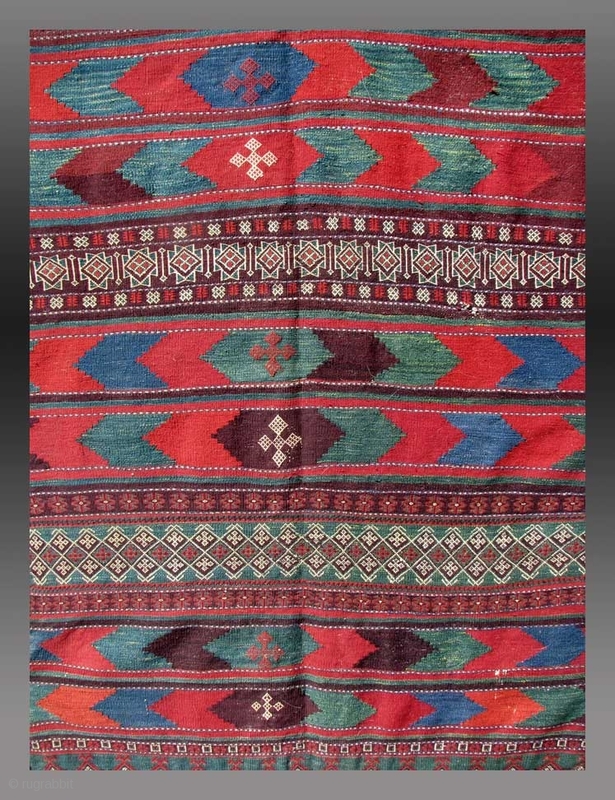 Baluch Kilim, se Persia, 19th Century, approx 3'11" x 10'4"
An extraordinarily colorful example of Baluch weaving from the Sistan region of se Persia. 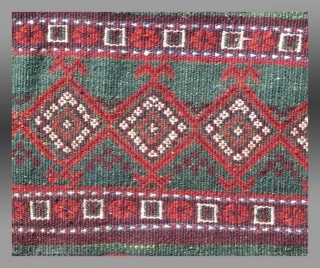 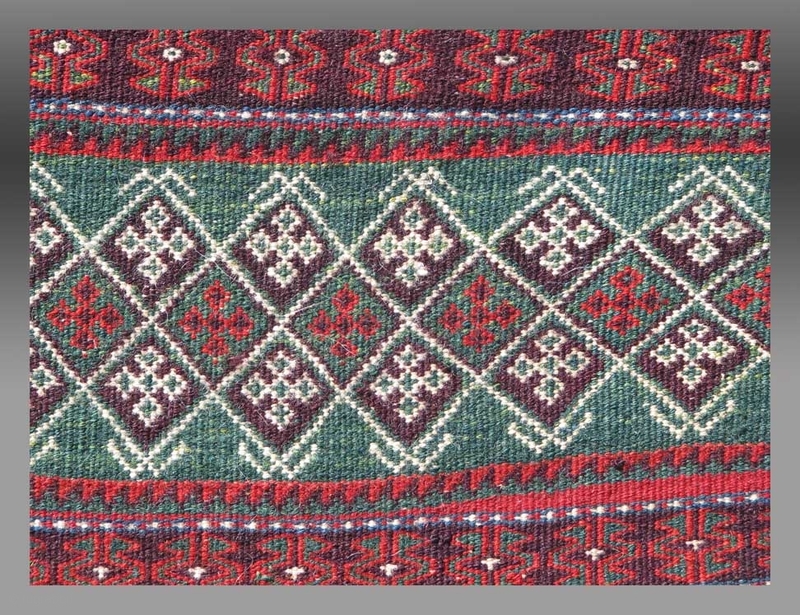 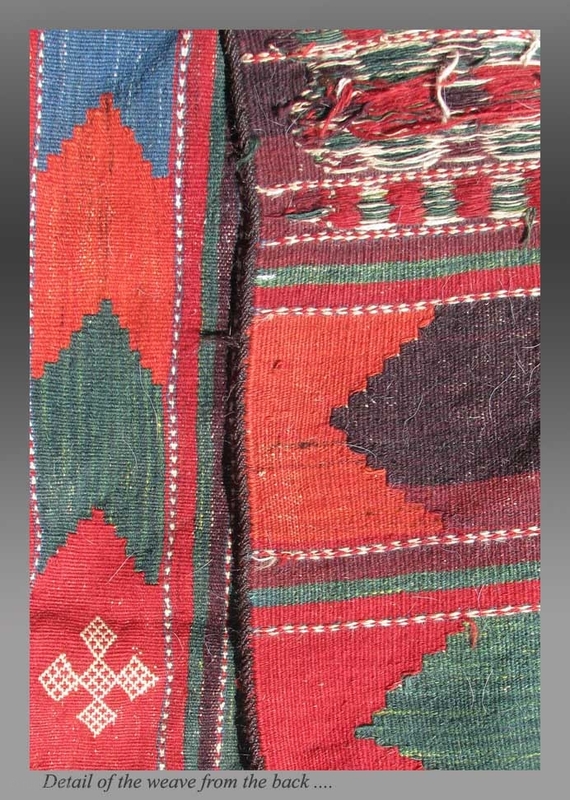 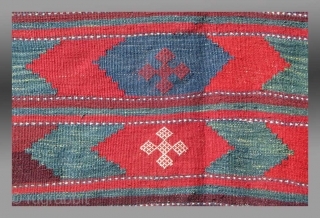 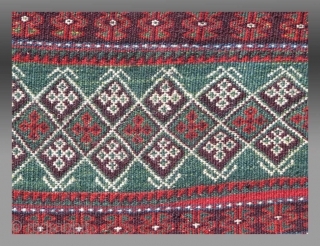 While colorful weavings are commonly associated with this region of Persia, the color contrast and saturation seen here is quite uncommon. 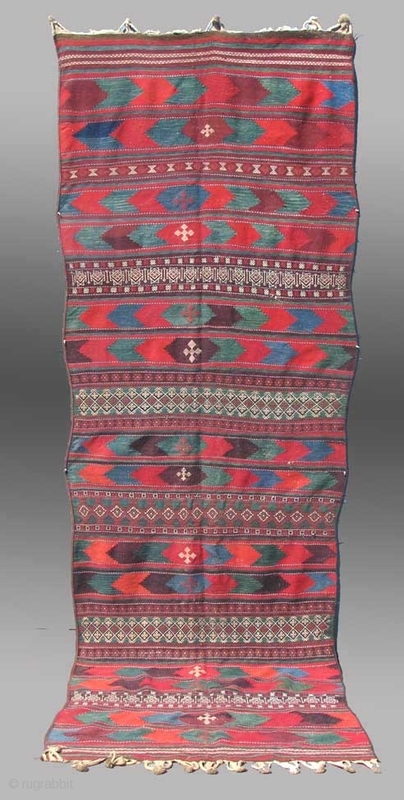 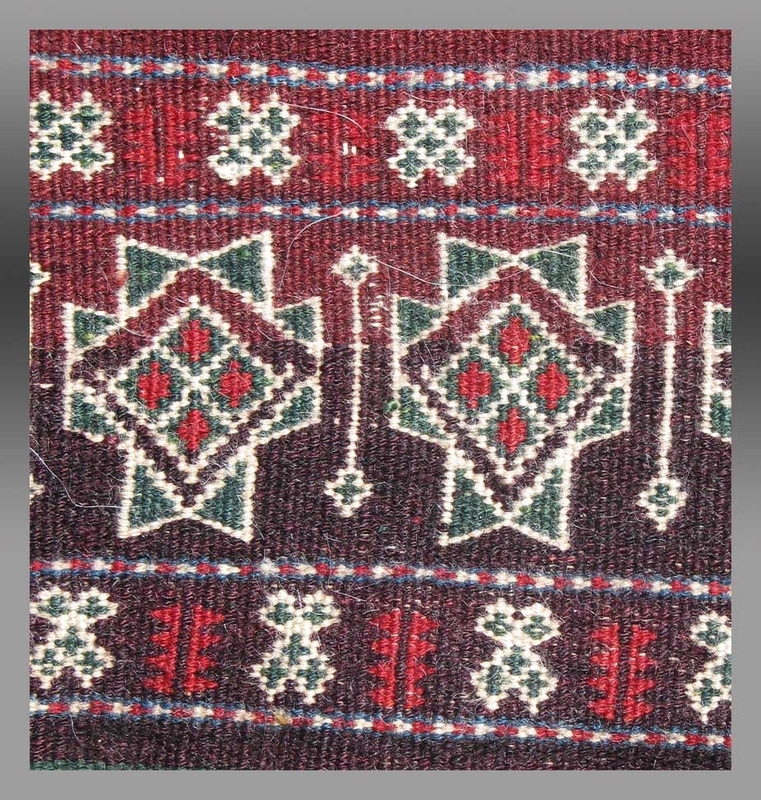 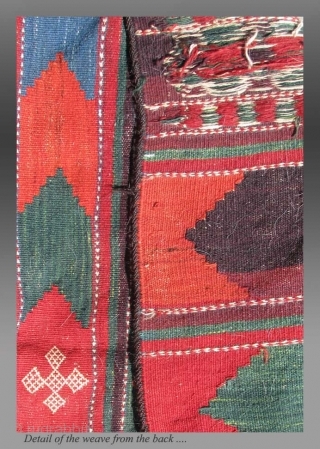 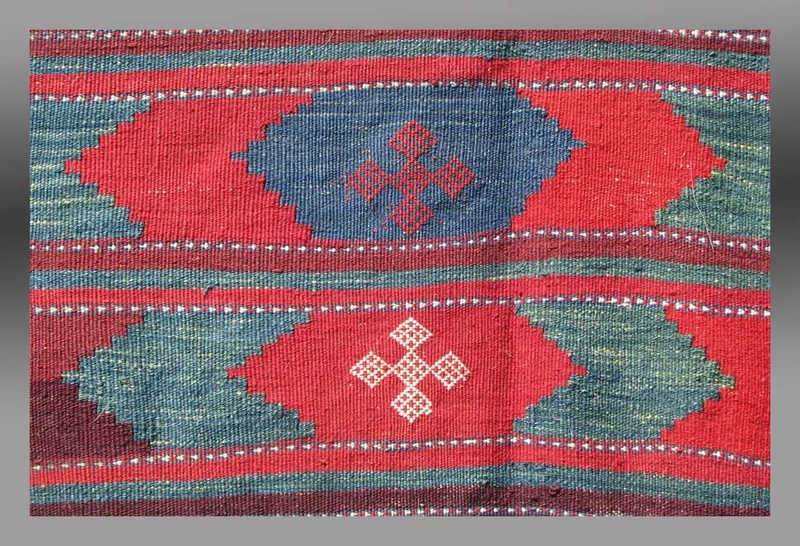 Kilims of this type were used in the homes of the Baluch from the Sistan region, mirroring their use of long and narrow pile weavings as well. 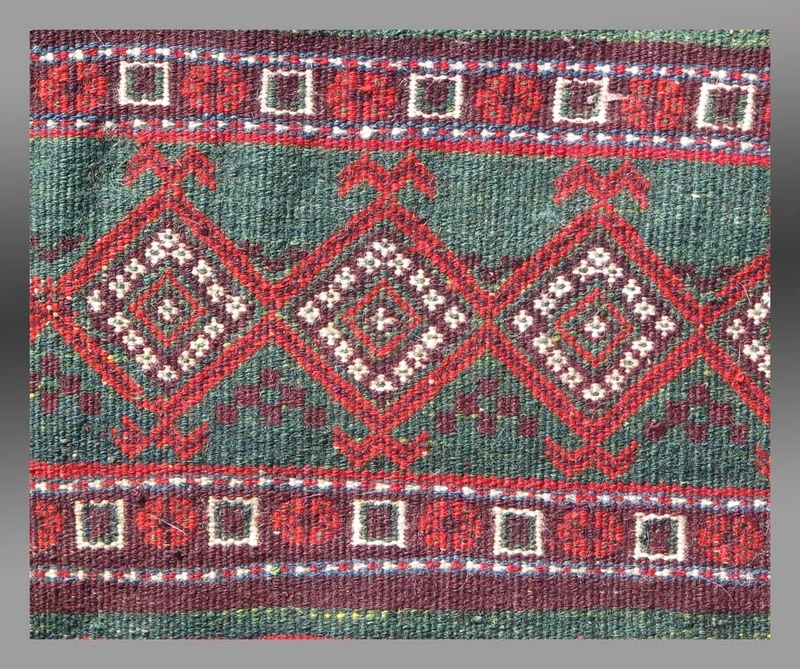 These people never make main carpets in the style or sizes of their counterparts in ne Persia and Afghanistan, where a more square format is seen. 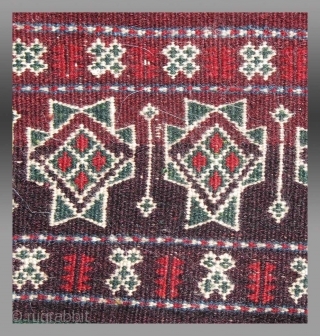 The condition is excellent and all the colors are derived from natural dyes.